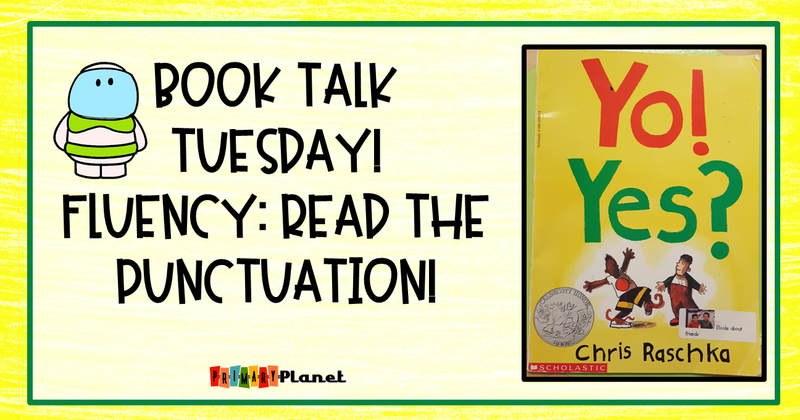 Book Talk Tuesday: Yo! Yes? Perfect for teaching Fluency! | Primary Planet! This week I am going to be teaching my kiddos about Reading the Punctuation as part of my Fluency instruction. I have the perfect book as a mentor text! 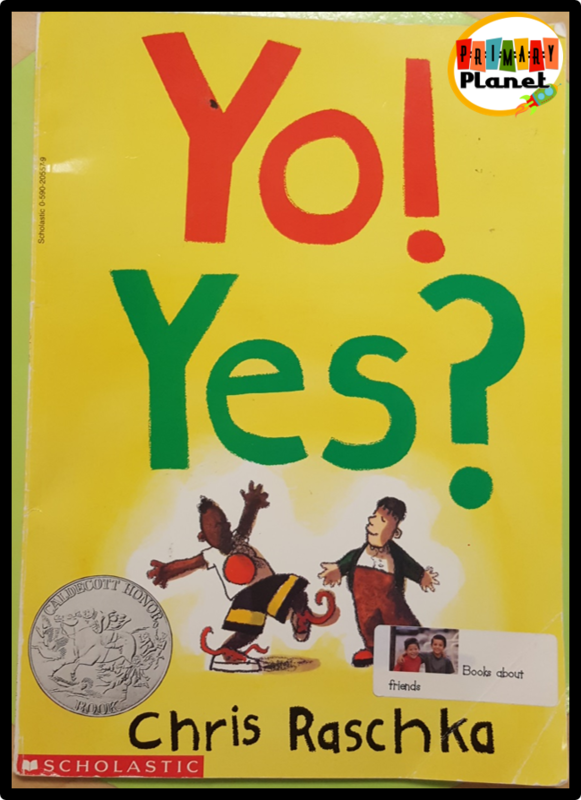 If you have never read Yo! Yes? by Chris Raschka, you really need to! There is a lonely little boy who is approached by an outgoing new friend. Their conversation is short, sweet, and to the point! Each page only has one or two words and punctuation, so it makes it a perfect book to practice Reading the Punctuation in your Fluency lessons! It is also a sweet story about friendship! I read it aloud to the kiddos to start without the punctuation and we talk about how it sounds. I ask them what I did wrong to make it sound that way. They always tell me that I forgot to read the punctuation. 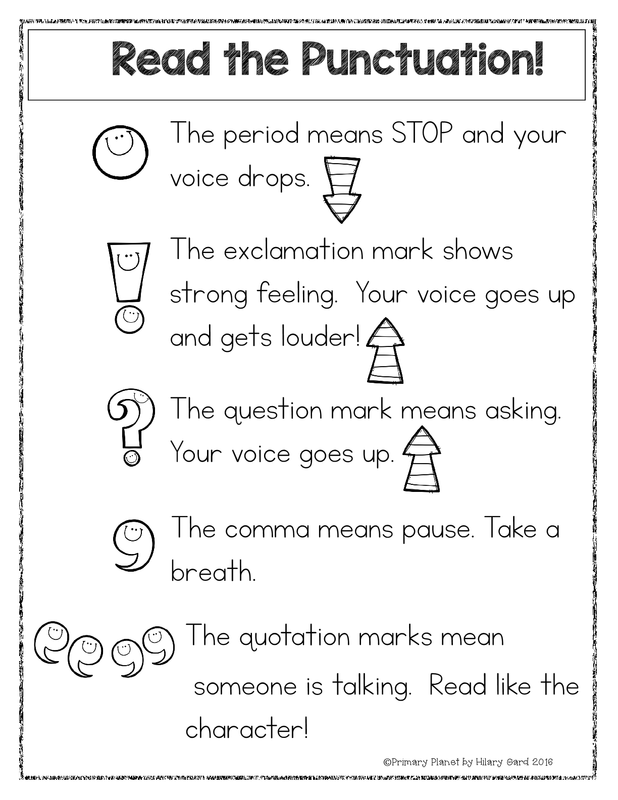 So, we go over our Read the Punctuation poster or work together to make an anchor chart, then I read it again. We all agree that it sounds much better this time. This story would be fun as a Reader's Theater as well! The link above is an Amazon Affiliate link. If you would like to get your own copy you can click the link and go straight to Amazon. If you make a purchase from Amazon I will receive a small commission at no cost to you. Thank you for your support! And now, the part you have been waiting for...The Read the Punctuation Freebie! 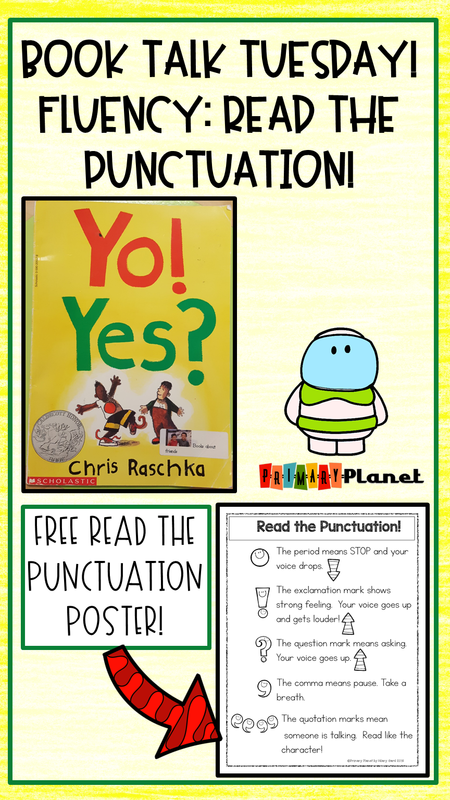 Click on the picture to get your free Read the Punctuation Poster! This would also make a great coloring sheet. I have my kiddos color it and add it to the fluency section of their reading notebooks! Pin the image below to save your freebie for later! This is one that you don' t want to lose! Do you have a book that you like to use for teaching Read the Punctuation? I always love discovering new mentor texts! Thanks so much for stopping by! Don't miss out on anything here at The Primary Planet! Join my e-mail newsletter and get a Full Picture Writing Prompt product for FREE! Just for signing up! 1 comment Fluency, read the punctuation, Yo! Yes? Freebie!